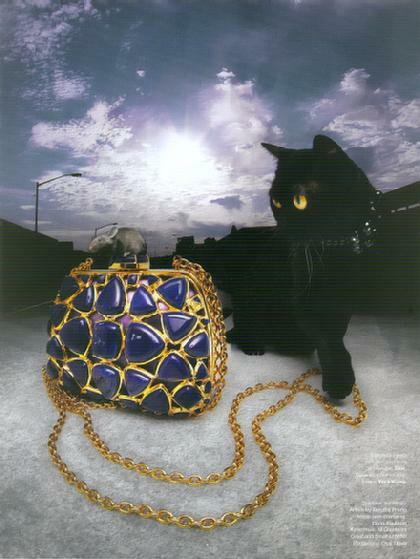 Our littlest Burmese princess, Malala, spent some time in New York City posing for Rebecca Taylor NYC. Malala is convinced thatthe model wanted to take her home! Malala enjoyed her modeling assignment with Givenchy. 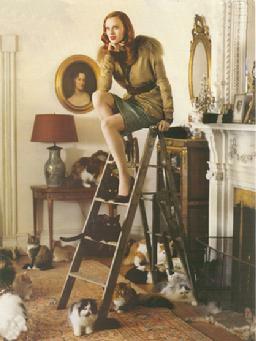 She modeled a collar for this shot, and was filmed strolling through the mansion's sunroom. Here she is showing off her collar. Barack spent a long day in a mansion in New York city admiring the carvings, the spacious rooms, the marble swimming pool, while waiting for his photo session for Givenchy. He says the model was nice. Barack certainly enjoyed himself! 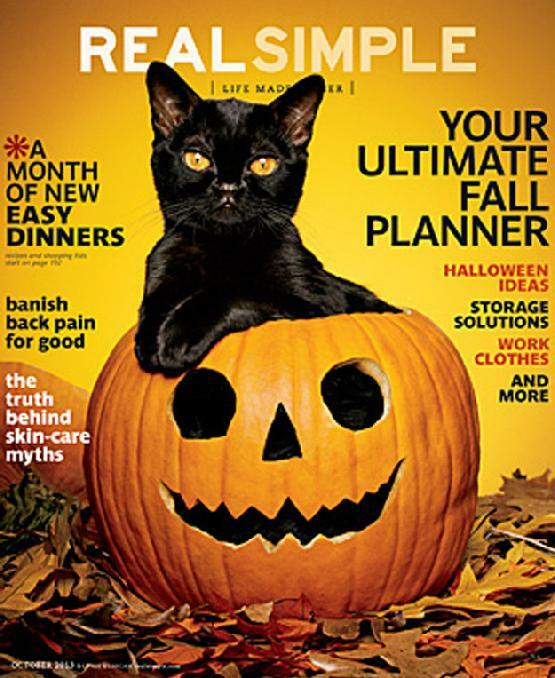 Who is that Gorgeous kitten on the cover of REAL SIMPLE magazine? We have been hearing that question ever since our Taraji (Star Academy's Taraji P Henson of Caricature) made her advertising debut on the cover of the October issue of REAL SIMPLE magazine, popping out of a real pumpkin. Taraji is a lively kitten, very affectionate, very full of herself and poised. At the photographic shoot for the cover, Tarajji spent a good half hour in that pumpkin happily sitting there while they posed her, had her with her paws outside, with her tail threaded through the Jack o'Lantern's mouth or eyes. 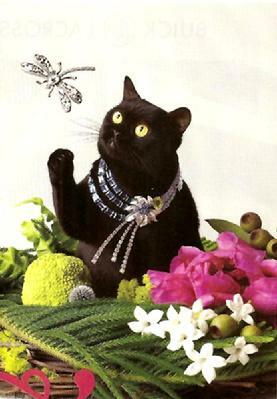 She enjoyed it all, and you can see from the photo that this particular genuine American Black Cat (Bombay) represented had a ball. So did we! We spent several months working with New York photographer Kenneth Willardt and lovely plus-size model Robyn Lawley on a series of art photographs. This one, entitled 'Nine Lives', features a number of Caricature Bombays and Burmese. It was a wonderful experience, and our cats enjoyed working with the lights and the people. A Caricature Burmese - Taking Hong Kong by Storm! 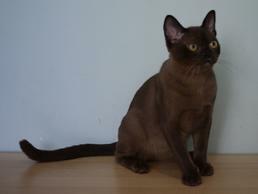 The First Sable Burmese in Hong Kong or China - At his First Show! 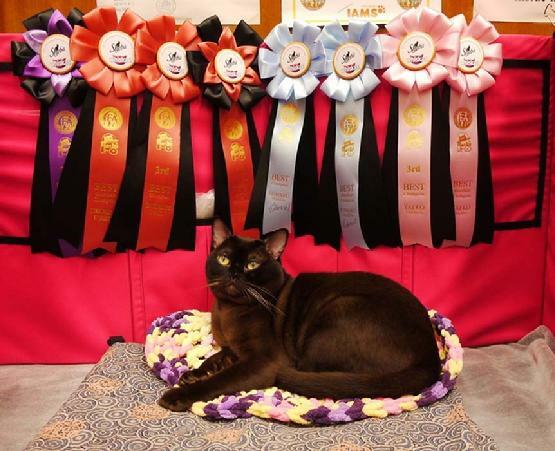 Caricature's Dante of Blackista, who is featured at the bottom of this page as a kitten - the first Burmese in Hong Kong or China - has grown up to be as beautiful as Donato (his father) and Sita (his mother), and this is a photo of Dante at his first show. Caricature is delighted to announce that the very first Burmese has come to Hong Kong and China in the person of Caricature's Dante of Blakista. Dante is the son of Donato and Sita, and is currently in Hong Kong. We're sure this wonderful, sprightly and smart breed will wow yet another corner of the world. Here at Caricature, we show our cats regularly. 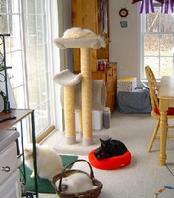 In the course of showing, our cats learn to be calm amid bustle and noise, to trust people, to lose their shyness. They are beautiful, and we love sharing that beauty with spectators, and we have made good friends over the years at shows. 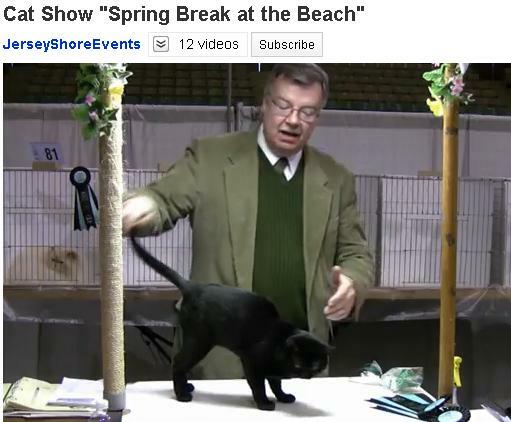 Often, people come to shows to learn about the different breeds, or just to look at the pretty cats. There is lots to see and do at a show; come look at the world of showing! Please click on the thumbnails for more information - enjoy the slide show! 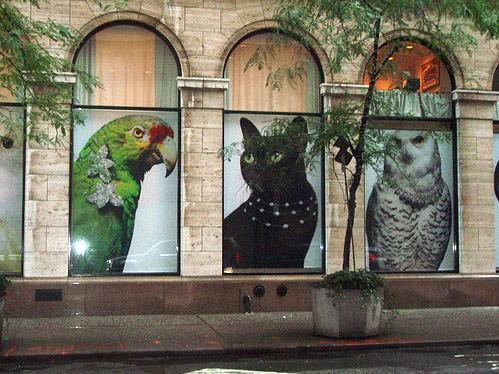 Caricature Cats On Madison Avenue! 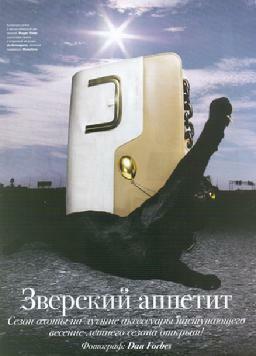 Caricature Cats in advertising Lanvin in VOGUE Magazine! While admiring the breathtaking jewelry in the windows of Harry Winston Jewelers, windowshoppers on New York City's fabulous 5th Avenue had a chance to admire our lovely GP, RW Caricature Frida Kahlo of Windriver decked out in a yard of platinum and diamonds that set off her splendid sable coat. 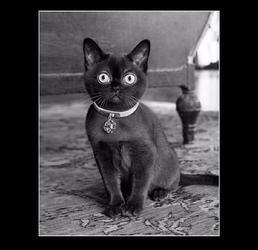 Frida was selected out of a number of cats to model one of Harry Winston's stunning necklaces in their global campaign for 2008 - 2009. The necklace was valued at nearly a quarter of a million dollars. Frida was very sorry to leave it behind! See the Bombays on the ladder? 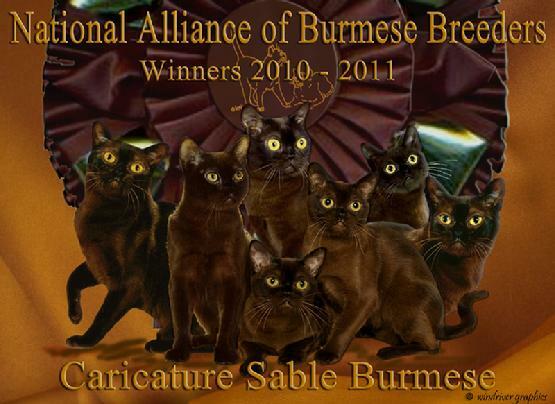 The two cats who are Dancing with Humans are GP Cheruburm's Benecio of Caricature (sable Burmese) and GP, RW Caricature's Barack Obama (Bombay). They do enjoy dancing! Caricature Cats Model for Target TV Ad! 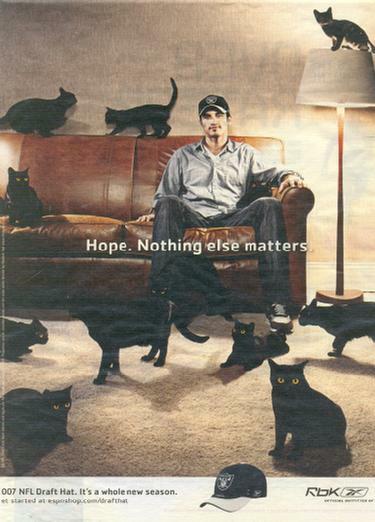 GC, RW Caricature's Barack Obama was chosen as one of the models for Target's 2007 Hello Goodbuys campaign. His glossy presence and beautiful eyes were a real attention-getter! Here are some stills from the commercial for you to enjoy! Click on the thumbnails for a larger slide show, or click HERE to view the ad! 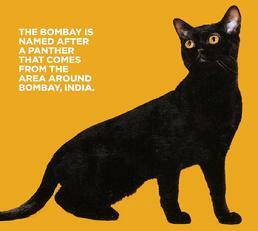 Cat Fancy Magazine ran an article profiling the Bombay. The two handsome boys that appeared in the article were brothers, both of whom did well in the show rings and are treasured family members. Ramsey Lewis, on the left, was a Regional Winner in the North Atlantic region of the CFA. He lives in New Hampshire with another Bombay and some very fluffy friends. John Legend, on the right, was the thirteenth ranked cat in Premiership in CFA. 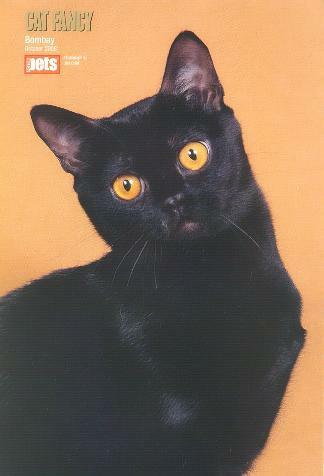 He currently lives in Pennsylvania with his doting owner. GC Caricature's Anika Noni Rose made an appearance in Animal Magazine, a Canadian publication. 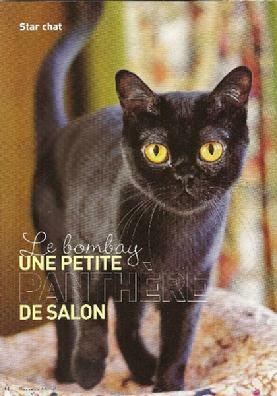 As the caption for her photo suggests, Anika is what Nikki Horner described as a 'parlor panther'. Just look at those eyes! GC Shadowlands Marajade of Caricature and her family pose for Rebok. 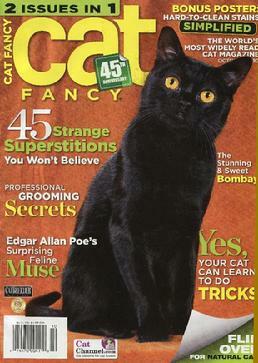 Caricature 'Poster Boy' in CAT FANCY Magazine! Some of our Bombay and Burmese Kittens went to New York City in late March to participate in an advertising campaign for children's products that features CFA kittens and AKC puppies of all breeds. Click on a thumbnail to enjoy a slide show of some of our little ones! In our enthusiasm for these rare and delightful breeds, Caricature has shared its lines and experience with breeders around the globe, including Italy, France, Japan, Canada and, most recently, Hong Kong. 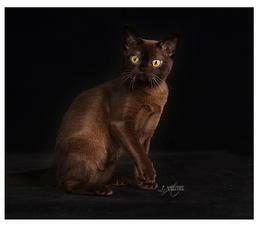 The beauty and charming personalities of our Bombays and Burmese have been well-received, as you can see, and fourteen catteries worldwide have Caricature cats in their breeding programs. Caricature Bombays and Burmese have been well-received in show halls around the globe, consistently winning regional and national honors.